The best wedding gift you can give is one that can check multiple boxes: personal, practical, and given with love. For that perfect wedding gift, you might have to go off-registry. Well, that is where the expert craftsmen at Holland Bowl Mill can help. A set of handcrafted bowls from Holland Bowl Mill is both thoughtful and unique, and the happy couple will, without a doubt, remember the gift years and years into their marriage. Each and every time they use their wooden bowls, they will remember back to when they received the gift and that happy bond made on that happy day. Holland Bowl Mill can also add a personalized message to the bottom of your bowl at no extra charge. Make your gift even more special by commemorating the occasion with a message to the couple, or surprise them with a replicated wedding invitation on a wooden bowl. Are you thinking of something besides a wooden bowl? 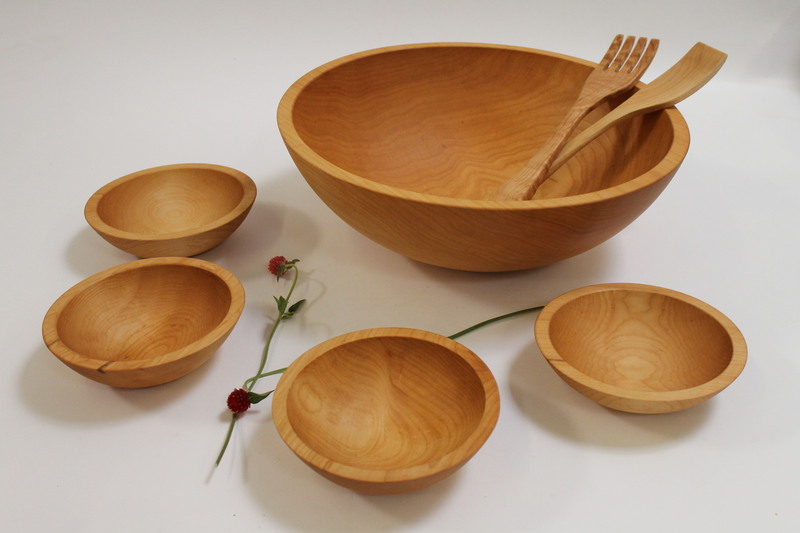 No problem, because Holland Bowl Mill also makes great wooden utensils, cutting boards, centerpieces, and more. Options are nearly endless at Holland Bowl Mill, from the size, shape, style, and choice of wood. Do not second guess yourself when going off-registry, and choose Holland Bowl Mill when you are looking for that perfect wedding gift. Be confident that any bowl from Holland Bowl Mill will last a lifetime. Call us at (616) 396-6513 to place your order, or visit our showroom at 120 James Street in Holland for more ideas.